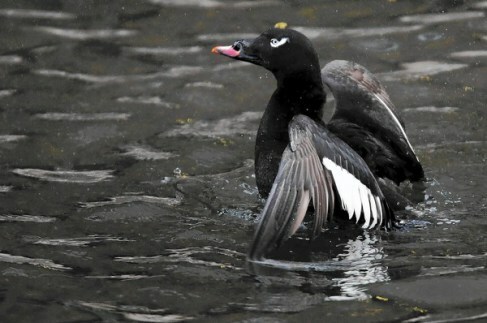 More on the White-Winged Scoter phenomenon as it has occurred in Chicago, from Sheryl DeVore. Thank you, Sheryl! I also heard on the radio this morning that the Great Lakes are more than 80% frozen, which adds another statistic to this report. And although I have found no dead birds, I have found two dead squirrels this winter, one in my basement stairwell a couple weeks ago and one on the sidewalk coming home last week. I’ve never re-blogged before so I hope I’m doing this right! Arkadi Romanov has seen hardy sea ducks withstand frigid waters in his native Russia. But the Glenview man never expected to see one emerge from 6 inches of snow at Beck Lake dog park in Des Plaines, about a dozen miles from Lake Michigan. 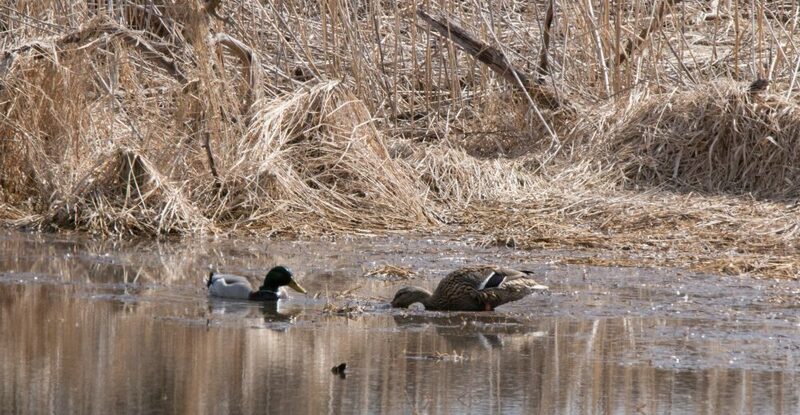 Nor did he and Chris Anchor, a wildlife biologist with the Cook County Forest Preserve District, expect to discover dozens more scoters dead beneath the snow at the dog park and a park in Glenview. This entry was posted in birds and tagged Chicago Tribune, Sheryl DeVore, White-Winged Scoters by Lisa Rest. Bookmark the permalink. I’m not sure if I’m clicking on the right links, but I can’t get to the rest of the story. It’s asking for me to register first….. I had heard about the frozen lakes, but now I really need to know what happened to those scoters in the snow!! Thanks for a great blog, I always enjoy it! Wow, I didn’t realize the aquatic birds were suffering like this. I guess I didn’t think about the connection either but it sure explains why we’re seeing so many of them out of place. It’s been a hard winter for everyone. I was bemoaning the fact that unlike previous winters there was no open water on the lakefront for me to see ducks, but I didn’t expect to start seeing them in the Chicago River!